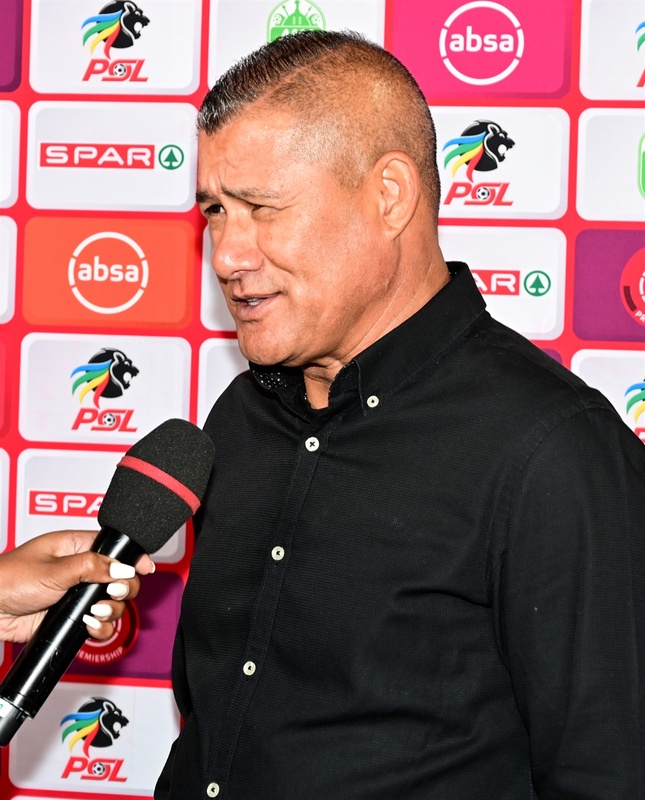 AMAZULU mentor Cavin Johnson is growing increasingly worried by his side’s recent spate of poor results. The KZN-based team have done well to move out of the danger zone, where they spent most of the first half of the season. However, Johnson believes their woeful showing in recent weeks threatens to undo all of their hard work and send them plunging back into trouble. Since their surprise 2-0 win over title chasing Bidvest Wits last month, Usuthu have gone on to lose two games on the trot. They were spanked by relegation threatened Free State Stars 4-1 before going down to Chippa United 1-0 at home last week. They currently occupy 11th spot on the standings with 26 points from 25 matches, just two points clear of the relegation zone. “We are in a bad situation as far as I am concerned,” said Johnson. Johnson believes that if they do not snap this wretched run soon, they will find themselves campaigning in the National First Division (NFD) next season. Their next game is a KZN derby against in-form Golden Arrows at Sugar Ray Xulu Stadium on Sunday (3pm). Steve Komphela’s charges, in contrast to Usuthu, head into the encounter in confident mood having won their last two games against Baroka and Cape Town City. They sit ninth on the log, with Bloemfontein Celtic’s superior goal difference the only thing keeping Abafana Besthende out of the top eight. “It’s a must-win-match,” said Johnson. “It’s an even bigger game because it’s a derby, but you are under pressure because they won their last game and you lost yours. “We have to come out of the blocks quickly and make sure we put our best foot forward.” Usuthu won 2-0 the last time the two sides met in the first round, with Bongi Ntuli’s brace earning them bragging rights in December.